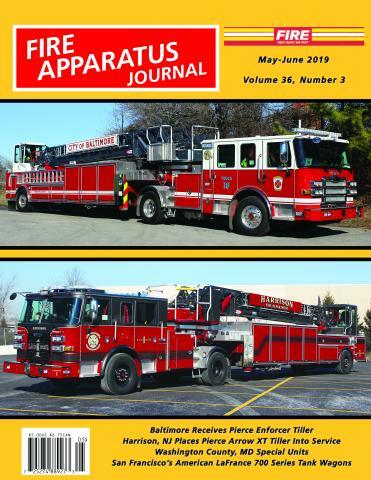 Twin Cities by John Degenhardt and Paul Barrett | Fire Apparatus Journal Inc. The Twin Cities column reports on apparatus news, including deliveries and reassignments for the Minneapolis and St. Paul Fire Departments, and suburban departments in the seven county metro area. Minneapolis operates 19 engine companies, 6 ladder companies, 2 rescues, and numerous special units while St. Paul operates 16 engine companies, 7 ladder companies, 3 squads, 11 medic units and several special apparatus. The apparatus is a varied mix of both custom and commercial chassis from several different manufacturers. The Twin Cities column is written by John Degenhardt and Paul Barrett. John Degenhardt is an avid fire buff and has been photographing apparatus in the Midwest for 20 years. His photos are used by local apparatus manufacturers, and have been featured in calendars and marketing materials. John also writes feature articles and contributes photos for the Extra Alarmer newsletter. Paul Barrett is a 28 year veteran of the St. Paul Fire Department, where is currently serves as a Captain on Engine Company 8. Paul has been photographing apparatus around the Midwest for 25 years and has authored the books Heavy Rescue Trucks 1931-2000 and Elevating Platforms a Fire Apparatus Photo Gallery.